The Free Morgan Foundation (FMF) believes in collaboration and working towards a world where cetaceans are better protected and are also no longer kept in captivity for any purpose other than genuine rescue and rehabilitation. As such we work closely with a number of NGO’s and are members of a number of coalitions which strive for the same goals. The Born Free Foundation have been long-time supporters of the FMF and our work to help Morgan. They have run Morgan-specific campaigns and helped with media profiles for her. 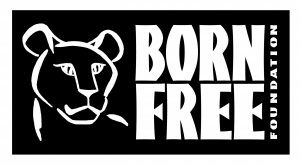 The Born Free Foundation is a co-sponsor for ‘Morgan’s Law‘. Cet Law is the only organisation that focuses specifically on furthering law and policy to protect cetaceans – whales, dolphins and porpoises – and their ocean and freshwater habitats. Cet Law collaborates with FMF to seek justice for Morgan and to ensure other rescued cetaceans are provided legal protections through Morgan’s law. The FMF is a founding member of the Dolphinarium-Free Europe. Dolphinaria-Free Europe (D-FE) is a European coalition of NGOs and professionals, working together to end the keeping of cetaceans in captivity. D-FE seeks greater protection for captive cetaceans through investigation, advocacy and education; members of the coalition share the position that wild animals should not be exploited for human entertainment. Rosina Lisker and Dr Ingrid Visser both serve on the Committee of this coalition of NGOs’. D-FE is a co-sponsor for ‘Morgan’s Law‘. The Orca Research Trust (ORT), founded by Dr Ingrid Visser in 1998, has been instrumental in providing data for the FMF about wild orca and comparisons to those orca held in captivity. The ORT has also been involved in other court cases for captive orca (against SeaWorld and the Miami Seaquarium) and been a consultant to the Argentinean Government regarding the captive orca held held at Mundo Marino. and the Canadian Government regarding the captive orca held at Marineland Niagara Falls. The ORT is a co-sponsor for ‘Morgan’s Law‘. 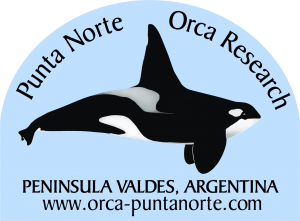 Based at Peninsula Valdez, Argentina, the Punta Norte Orca Research project was co-founded by Dr Ingrid Visser and has become the go-to project for information regarding the famous orca who come intentionally onto the beach to capture sealion pups. One of the co-founders of PNOR, Juan Copello, is also on the Advisory Board for the FMF. He has contributed towards data collection of captive orca in order to assist with the work of the FMF. Specialising in the rescue of stranded and entangled cetaceans, Whale Rescue is co-founded by Dr Ingrid Visser and is comprised of a small group of experts with extensive experience in this field. They consult with the FMF to provide insights regarding the potential rescue of Morgan. The mission of the Whale Sanctuary Project is to establish a model seaside sanctuary where cetaceans (whales and dolphins) can live in an environment that maximizes well-being and autonomy and is as close as possible to their natural habitat. Three of the FMF Board of Directors also serve on the Advisory Board of the Whale Sanctuary Project.